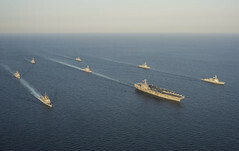 Naval forces from India, Japan and the United States are participating in exercise Malabar 2014, July 24 - 30. 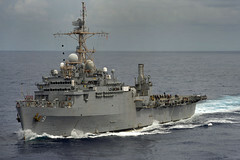 Nearly 4,000 Sailors and Marines from the Makin Island ARG and 11th Marine Expeditionary Unit are scheduled to depart San Diego July 25 for deployment. "With 22 participating and six observing nations, this biennial exercise demonstrates America's commitment to preserving and promoting peace in the Indo-Asia-Pacific region." 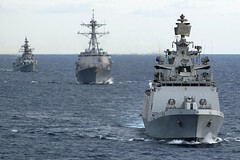 USS Kidd (DDG 100) and other ships of the George Washington Carrier Strike Group embarked liaison officers during a July 15-19 exercise with the Republic of Korea Navy. 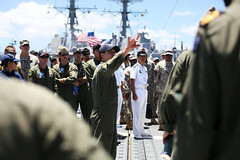 The amphibious transport dock ship will be decommissioned during a ceremony at Joint Base Pearl Harbor-Hickam, Hawaii, August 14. 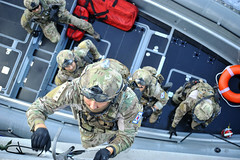 Special operations forces from the U.S., South Korea and Peru conducted a covert training mission aboard the littoral combat ship as part of exercise RIMPAC 2014. 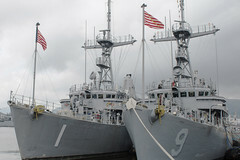 The two mine countermeasures ships departed Sasebo, Japan, for the final time July 15 after completing hull swaps with USS Pioneer and USS Chief. 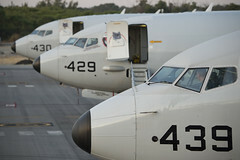 The Mad Foxes of Patrol Squadron (VP) 5 began a seven-month deployment to the U.S. 7th Fleet area of operations July 15. 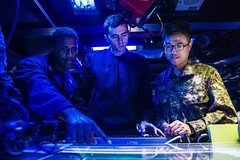 U.S. military forces, to include ships and aircraft from the George Washington Carrier Strike Group, are conducting a series of bilateral exercises with the Republic of Korea armed forces July 16-19 to strengthen maritime interoperability and tactics, techniques and procedures. 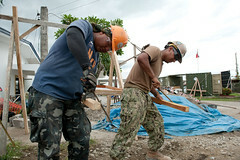 The 10-day humanitarian assistance and disaster response preparedness mission in Tacloban wrapped up July 15 with a closing ceremony.